In ancient times, a Persian merchant gets lost in a windstorm. 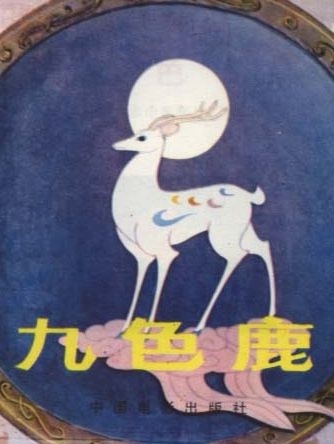 Suddenly a spiritual deer of nine colors appears to guide the man. Later on, the deer rescues a man drowning in a river. In exchange, the man promises not to reveal the deer's whereabouts. The man reaches an imperial palace. The king insists on hunting down the spiritual deer down to make clothes out of the deer skin. The man gives in to his greed and leads an army of warriors to the spot. He falls into the river again, hoping the deer will show up to rescue him. This time, all the warriors' arrows turn into dust and the man is drowned.